We can't help but indulge in the midst of fall! This celebration at Triunfo Creek Vineyards was perfect for the season. The vibrance of summer met the warmth of fall with our vintage displays. We loved the this organic look and were so happy to play with different textures and colors. 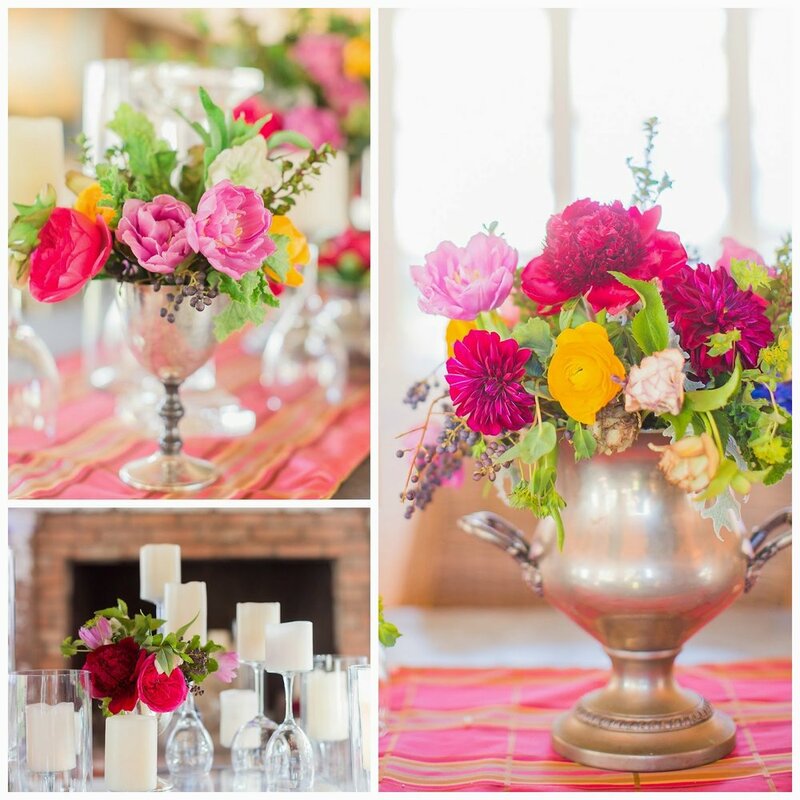 The bright flowers mixed with the rustic metals and organic wood had a wonderful effect on the senses. White Candles were the perfect accent for the indoor setup. It's always a pleasure working with Alex and her team at Sterling Engagements. Thank you Ryan Phillips Photography for capturing this beauty!